A couple of years ago, one of the toy companies decided to release yet another series of action figures based on the Universal Monsters. For some reason, this is one of the most-licensed properties (with the least-impressive sales record) in recent years. This company touted their very realistic sculpting, and launched their line with a figure of Bela Lugosi as Dracula. 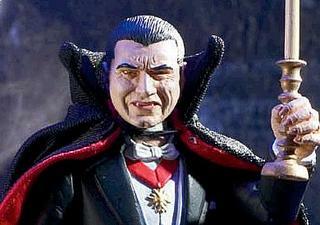 Now, is it just me, or is that Dracula a dead ringer for celebrity chef, Emeril Lagasse?